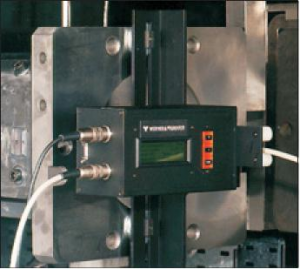 The internal bore hole diameter measuring unit idiamCONTROL 801 detects the wear in the 8-shaped bore holes of extruder machines by measuring the internal diameter. For this purpose a measuring probe is pushed into the bore hole. 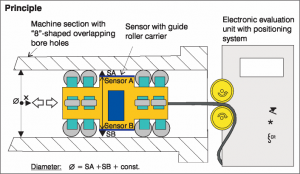 An integrated capacitive double sensor measures the actual bore hole diameter. In addition the sensor position in the longitudinal axis of the bore hole is measured with a cable-length measuring system. 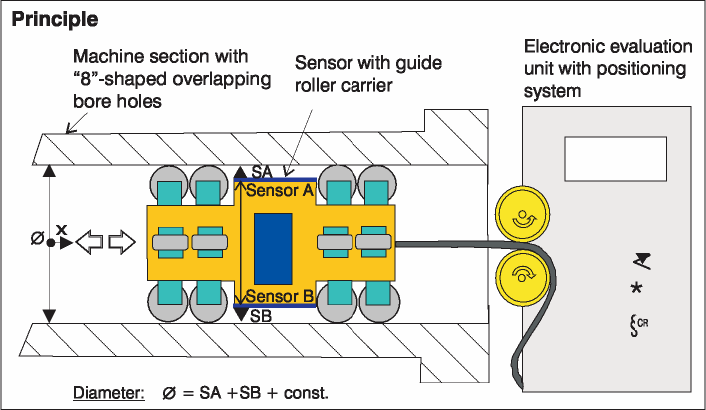 This means that every sensor position is assigned a diameter. Through a computer interface the measurement data are transferred to a PC, where they are evaluated. As a result the longitudinal bore hole profiles are available in 6 tracks with an axial resolution of 6 mm. 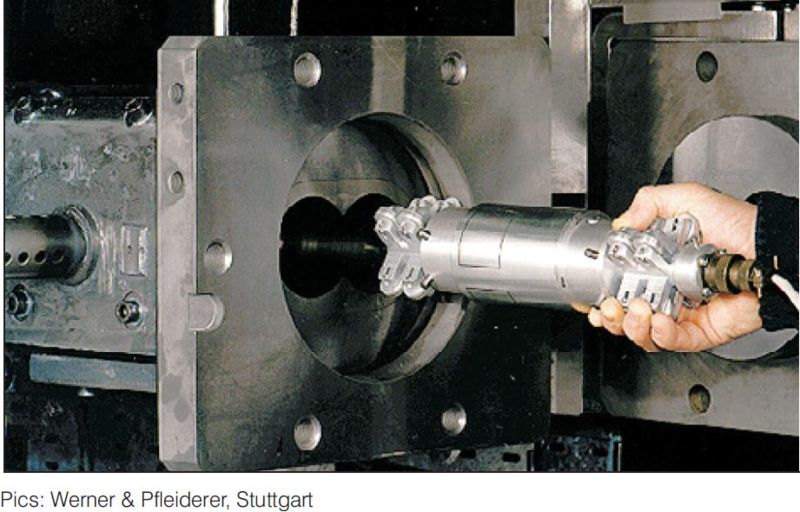 Information about wear is obtained by comparing the diameter values at different.